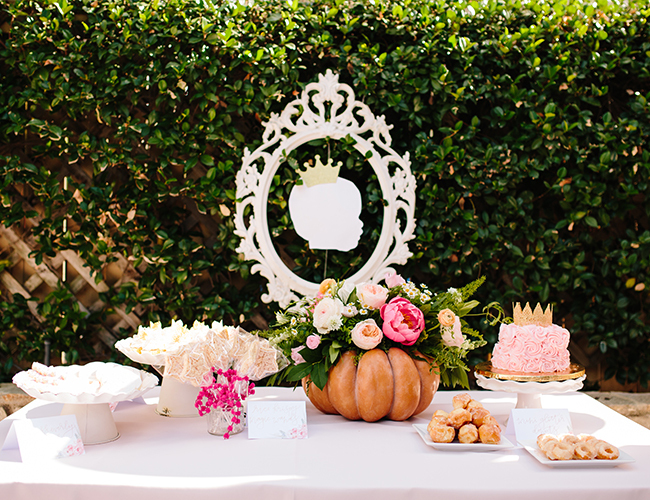 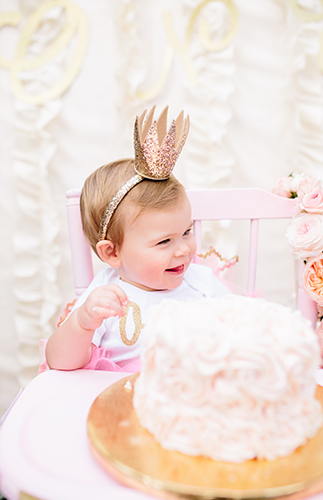 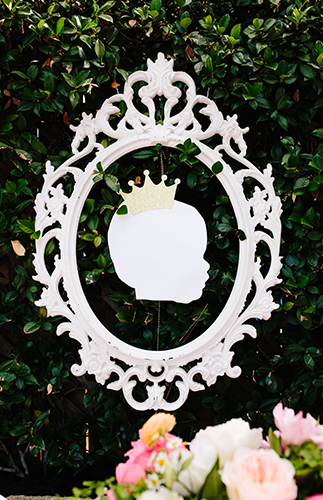 This princess first birthday party isn’t just any princess party – it’s full of the modern little princess’s favorite things from gold painted pumpkins and pink peonies, to puppy filled play pens and adventurous rides down the blow up slide. 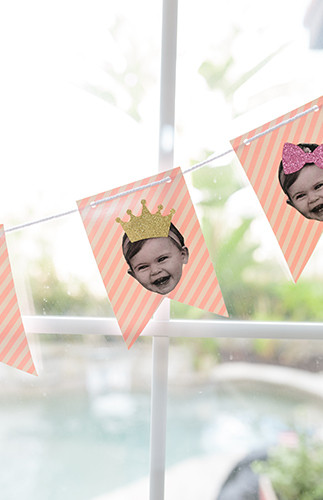 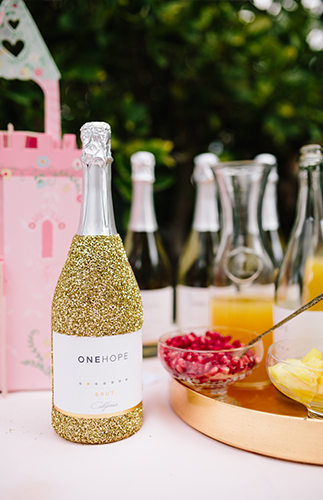 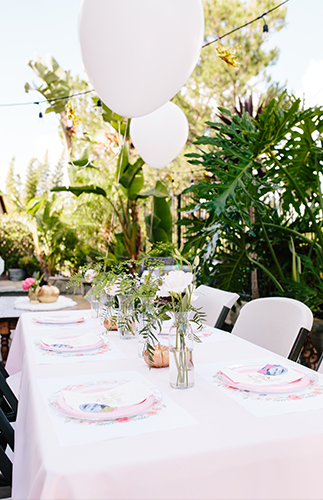 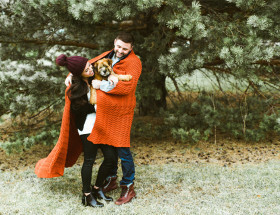 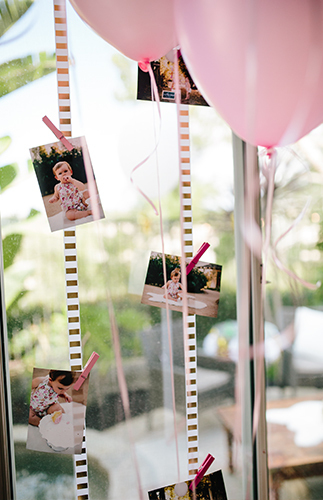 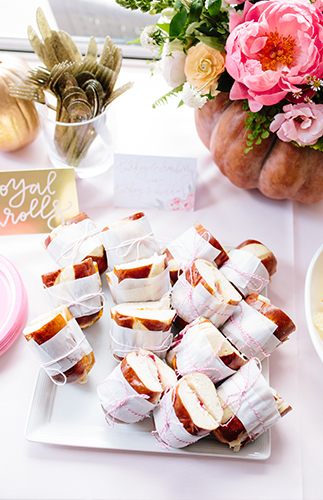 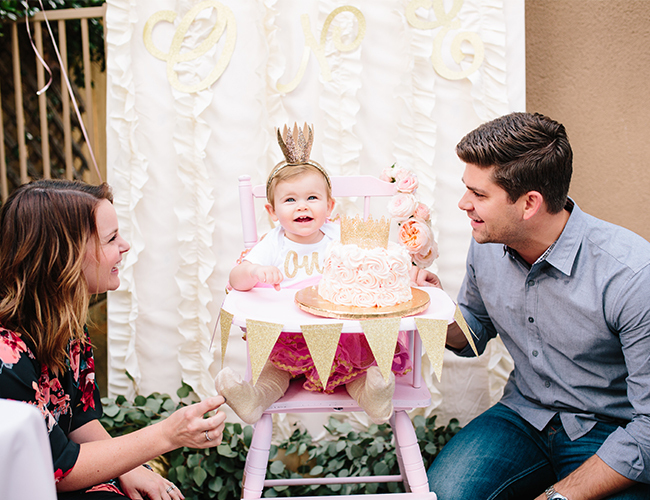 With a cleverly titled “Happily Everly After” party after the birthday girl herself, it’s quickly becoming one of our favorite birthday bashes ever. 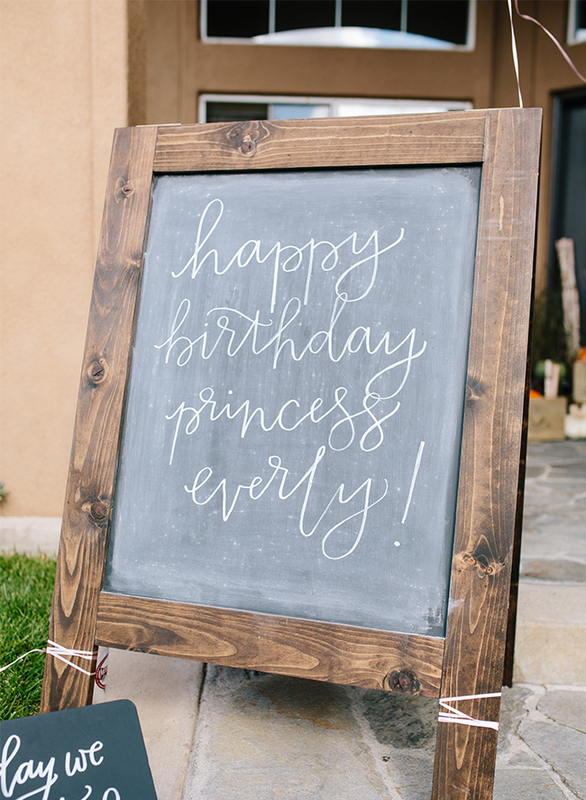 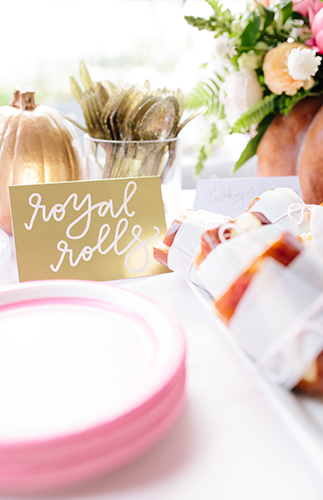 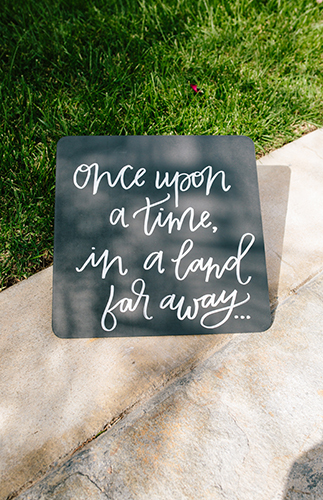 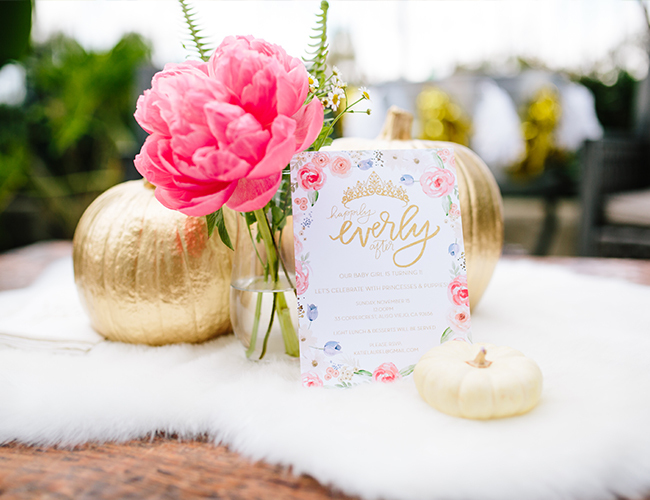 With a creative mama and a calligraphy-savvy aunt, Everly had a celebration better than anything a fairy-godmother could whip up! 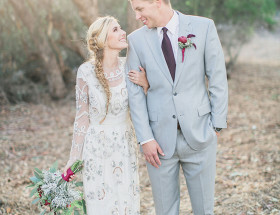 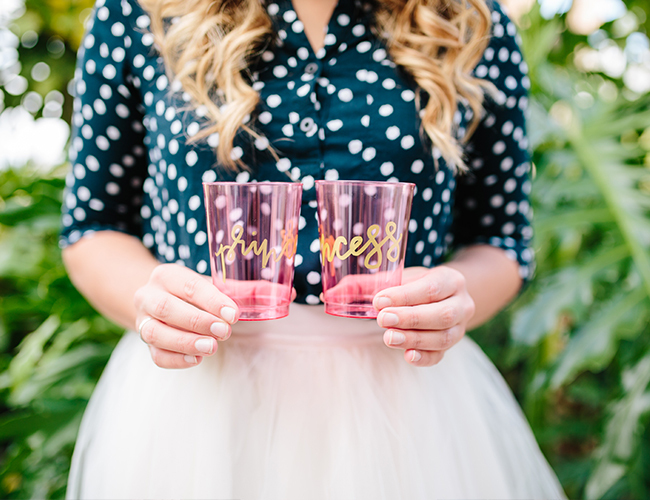 Get ready for all the girly, witty, and wonderful details – our personal fave? 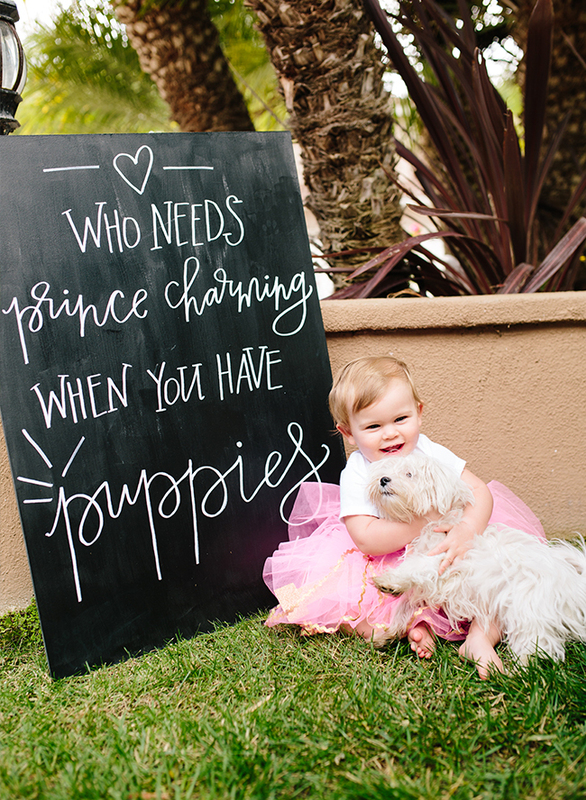 The “Who needs prince charming when you have puppies” sign, but little Everly’s face printed all over the place is pretty awesome too. 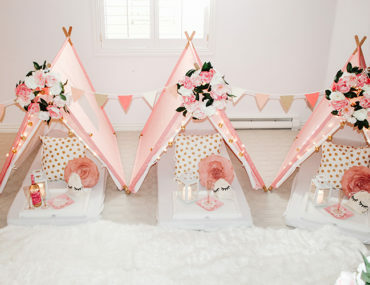 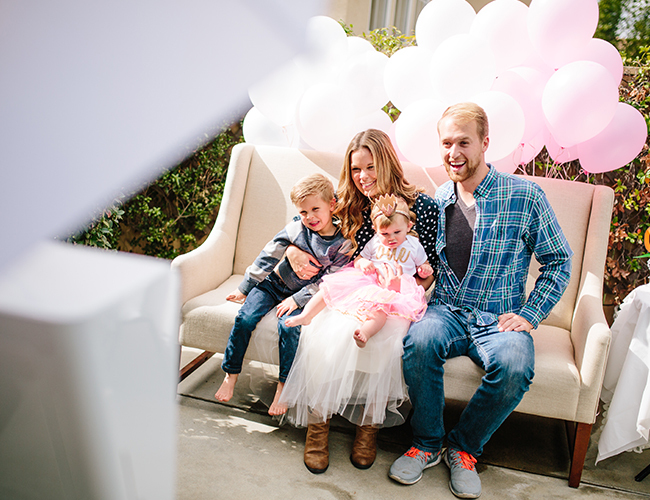 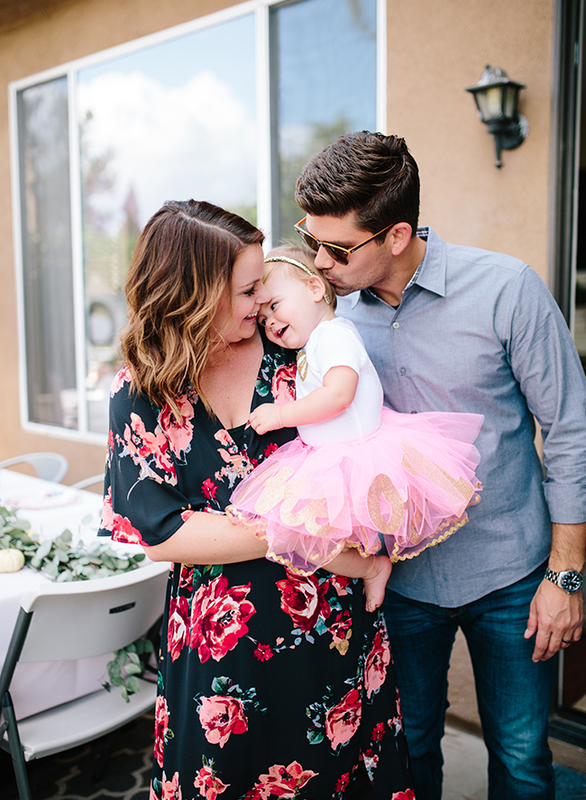 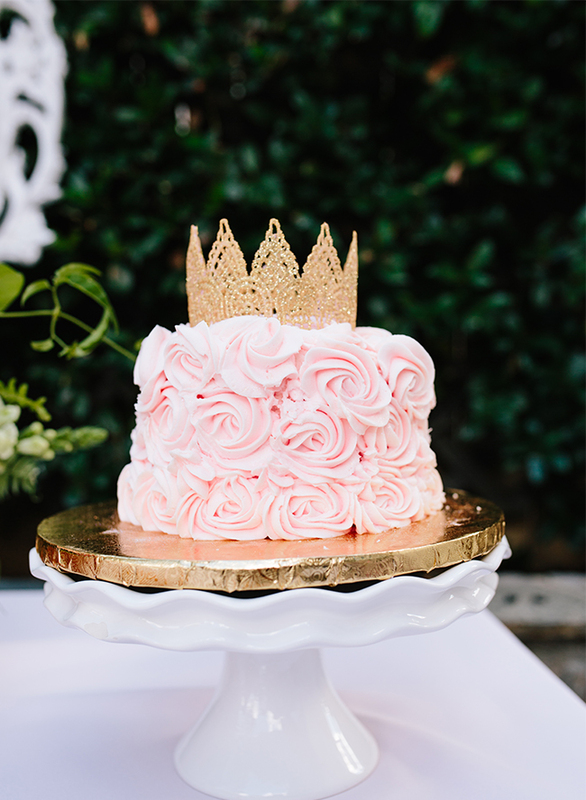 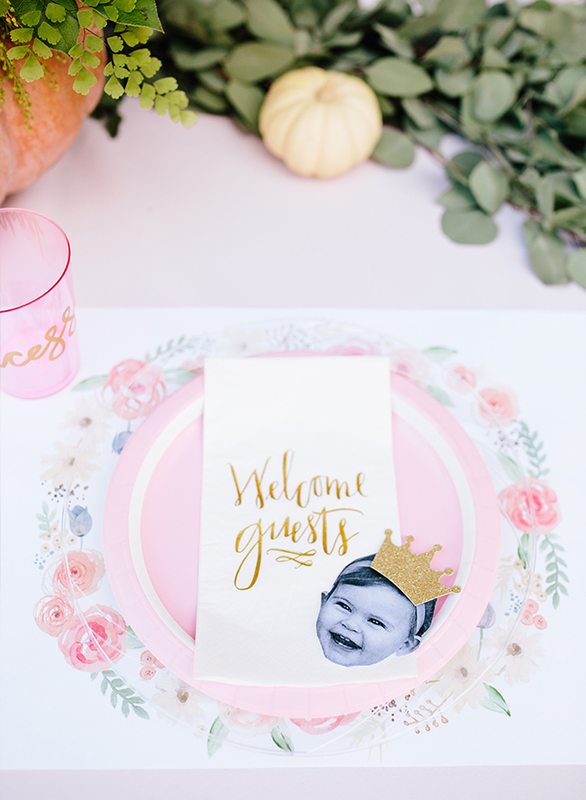 Courtney, from POPPYjack Shop shared a little more of her sweet niece’s party, saying, “My niece Everly turned 1 in November so my sister and I decided to design her a perfectly girly (and non-cheesy) princess party themed as “Happily Everly After”. 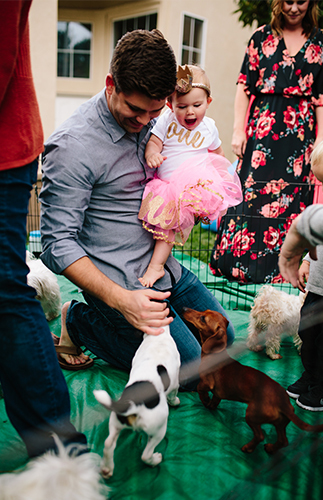 We had lots of Everly‘s favorite things throughout the party, including her ultimate fave, puppies!” Who wouldn’t love that?! 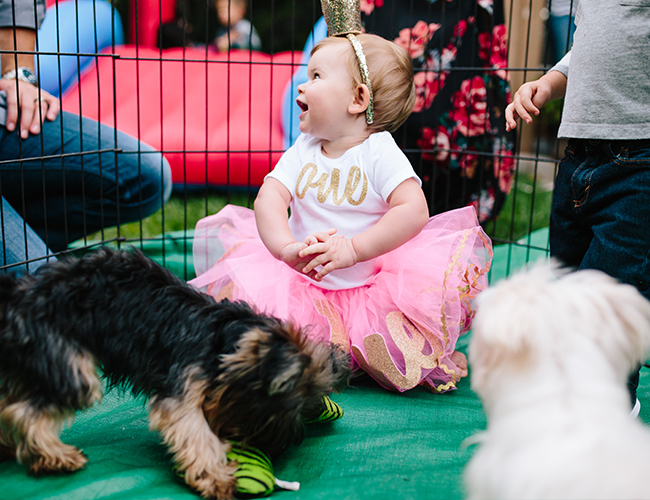 Everly steals the show in her custom outfit – could you imagine anything better for a first birthday? 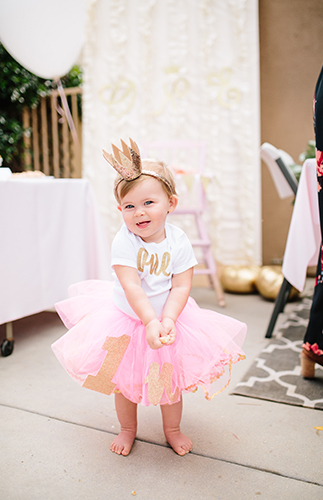 Gold glitter number 1s were pinned to her tutu and her personal crown headband topped it off perfectly! 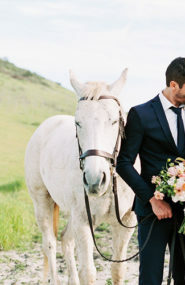 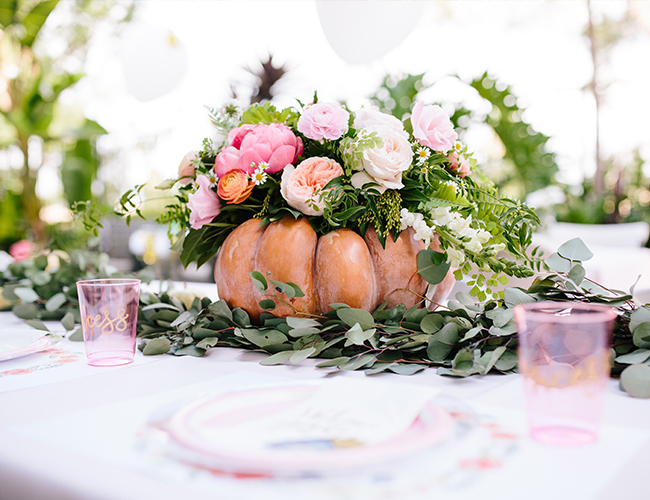 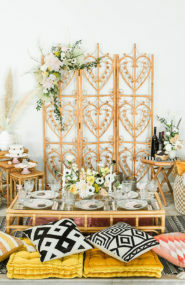 Floral Design: Bloomwell and Co.
We’re so glad you can use this in the future! 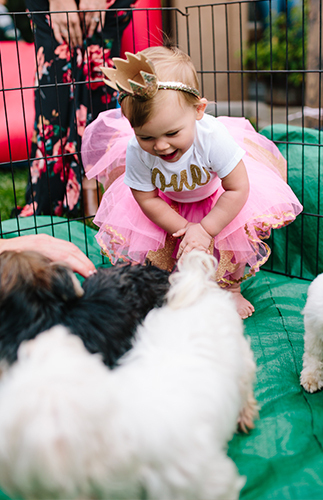 Holey moley, she’s the absolute cutest!